When ailing from minor pains like skin rash or headache, or major pains like cancer, medicine can feel like the shining light of relief. These treatments we rely so deeply on, along with most other pharmaceutical products, are made by the process of homogenization, specifically with high pressure homogenizers. The process alters the size of droplets and imparts intensive mixing along with mechanical force to create a single homogenous mixture. Here we analyze the critical role for high pressure homogenizers in the synthesis of the pharmaceutical products we hold so dear. 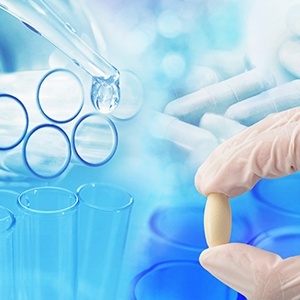 The active pharmaceutical ingredients (APIs) contained within pharmaceutical products must be treated sensitively, as they can be damaged by changes in factors like heat and pH. Under such circumstances API bioavailability can drop significantly, so mixing processes that use heat should be avoided. However, high pressure homogenizers use force as opposed to heat, which preserves the API and increases its bioavailability in vivo. Liquid pharmaceuticals like syrups require specific treatment to ensure consistency; this usually consists of at least one thickening agent. Yet such agents also carry the risk of agglomeration, an undesirable trait in any medication. While conventional mixtures aren’t typically fit to disperse clumps, the combination of intense force and mechanical pressure of a high pressure homogenizer allows it to overcome this problem.